The BEST marketing money I ever spent when I was an active real estate agent was on direct mail postcards! I sent them out to my farm, to past clients and to prospects. To this day, two years later, I still get people who mention that they are sorry that I am not still sending them as it helped them keep up with the real estate market in the area that I farmed! So why should YOU mail out real estate farming postcards? Here are my top five reasons! They hang around A LONG time – people will keep them on their desk, bulletin board or refrigerator for longer than you ever though possible! It reminds people that you are still in business – I know, you are a professional and should not have to say so BUT with the market the way that it is you never can be too sure. 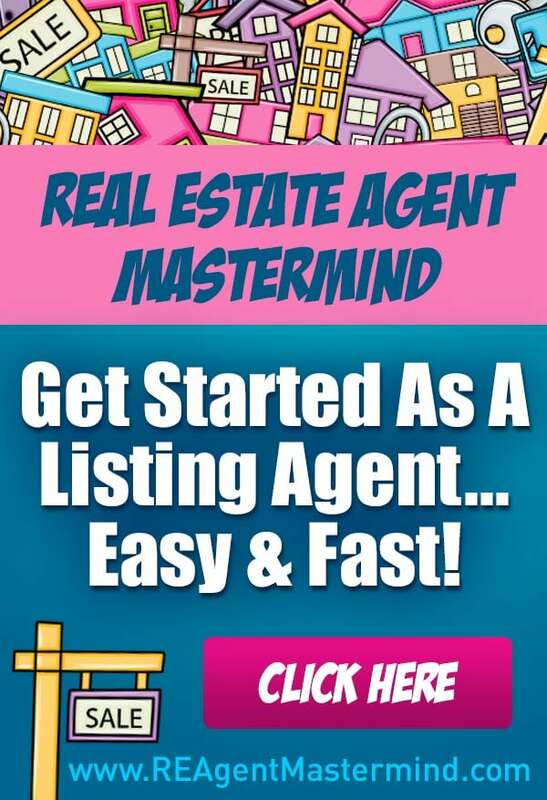 You can market your listings – I know this one is not popular but it is true! Part of the reason you are paid commissions is that you market a property. I always made sure to put my client on the mailing list and boy did it make an impact that I was doing my job when they got it in the mail. They help grow your farm – When you do consistent mailings into an area you become the defacto neighborhood expert even if you have never had a buyer or listing there! Lastly, the cost has come WAY down from when I was doing it!!! – The price per piece, including addressing, First Class Postage, and Delivery is now $.40 per piece. Dang. That last one is a life saver!!! The one thing that I did not like about doing real estate postcards was the cost! First I had to order the printing, then I had to have a bulk mail stamp to save on postage, then lick and stick the stamps and finally schlep on down to the post office and make sure I had my postcards sorted the right way. Wow am I having a bad flashback! So as you are planning your marketing for the upcoming year, make sure that you consider adding direct mail postcards to the mix. Here are some of the top ones that I sent out with great results! Recipes – I am a realtor not a cook! Hope those help with your real estate marketing direct mail marketing ideas – please feel free to comment if you notice one I may have forgotten!!! Hi, enjoyed you post. Especially the part about becoming the defacto expert even if you don’t have listings in an area. Although up to now, postcards have been the best alternative, they have a few problems – First, everyone is sending them so in prime areas it becomes a postcard race to see who can out send the other guy; which leads to the second problem, the vast majority go right in the trash. And finally they are expensive. We’ve just launched a new company that produces custom home and garden magazines for Realtors to mail to farm areas. We find a magazine solves those core problems. First it’s exclusive so only one Realtor can mail it into a farm area. Secondly, since it has quality editorial that people enjoy, it winds up on the coffee table rather than the trash. And finally, Realtors can invite businesses they currently work with to offset some or all of the cost. We have many clients that are paying nothing!